The danger of liberating lunatics? My office know not to call me when I’m skiing, since I tend to the extreme and pulling your mobile out attempting some ridge isn’t wise. I knew it was important..
‘Alan Lee’ – said James- my Horse Race guru. A copy was cybered over to me, so balancing on a rock I glanced at the contents – must be outstanding methinks, not like Alan to attempt anything remotely trickier than a small glass of sherry. The first paragraph made me laugh so hard I though I was going to slip off. ‘Geraghty could have saved the life of Sprintre Sacre with his quick action at Kempton’ – Something described as pragmatic. A little medical lesson Alan from your old pal Doctor Banks. Atrial fibrillation in mammals is very rarely deadly. It’s nothing more than an electrical anomaly of the small chambers at the top of our precious hearts. There’s no associated pain, it won’t cause you to keel over. In a human it feels rather like your heart is ‘rippling’. The severity of the condition in some cases might cause for a small electrical charge to right the situation. In most cases it just rights itself. It’s not associated with heart attacks or disease, nor the far more severe ventricular fibrillation. It’s inconceivable the big boy felt much at all as he moseyed round Sunbury. But I suppose the ‘saves his life’ copy sounds better. More dramatic and fun! 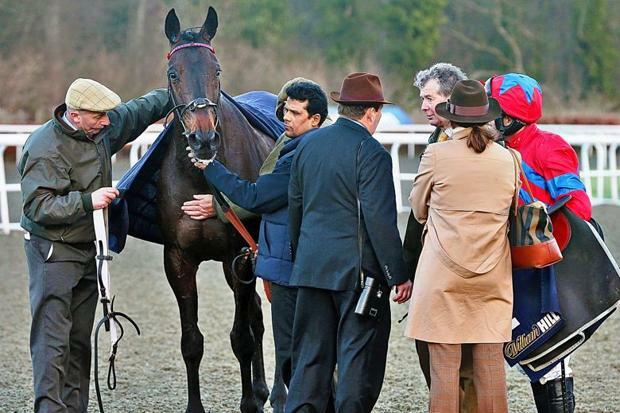 I was at Kempton on that fateful day, – which so many journalists seemed to treat as some kind of biblical disaster. It all seemed frightfully overblown and sensational. Poor old Sire De Grugy, who would probably have beaten Sacre off level, totally forgotten about in the stupid fuss 🙂 And that’s exactly what it was. Let’s look at the official ‘Racing’ version. And in the words of the great Geraghty- because that’s what I believe he is, I’ve been open in my praise for his evident talent. The horse travelled well to post – showed no indications up until the 7th fence. Where-upon he gave the horse a squeeze with his legs, akin to asking for a ‘biggie’. Unfortunately the Big-yun had other ideas and popped the fence, the reins went slack as he landed -or within a stride or two. Parlance for dropping the bit I suppose. This wasn’t normal for the horse and Barry pulled him up. Hacked him back to the horse walk, whereupon he was diagnosed with a heart issue – with the aid of an ECG? The horse was boxed home, not to the vets, ate up that night, was delivered to Newmarket for a full examination the next day. We know the result. Indeed a case of atrial fibrillation, not severe enough to need treatment as it reversed itself. Racing issued a press release confirming the diagnosis. Geraghty was right. Case closed, see you in March. Alan Lee’s piece took issue with the Trolls on Twitter. He chastised their claims of ‘a fix’ and accused them of talking through their pockets via a liberal sprinkling of Times approved banter. ‘Microcosm’ ‘Intractable’ ‘Assiduously’. Thank God I went to Public Skool. I’m certain everyone else was put in their place. He described the ‘intemperate vernacular’ (look it up) of the Betting shop as being replicated on forum websites run by Bookmakers. Surely Alan knows there’s not a single Bookmaker who operates a ‘forum’? I wonder at such comments how a journalist could live in his personal goldfish bowl, gorping at the outside world, that he doesn’t know that. 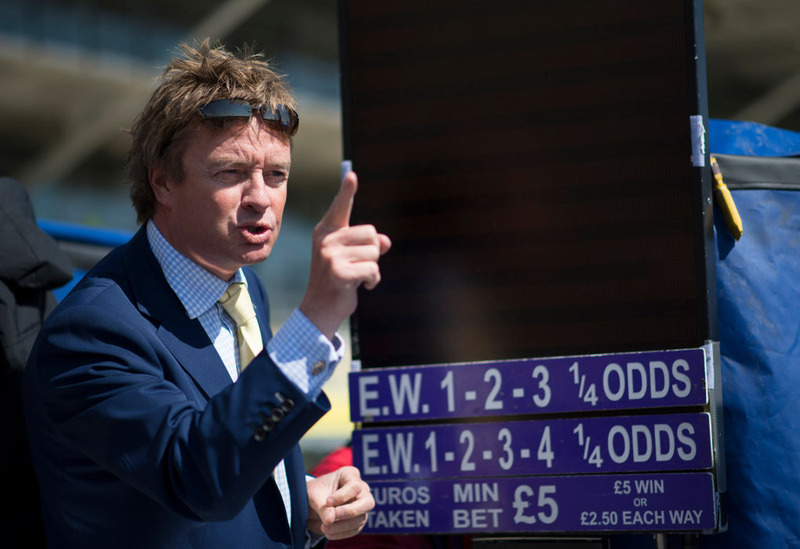 At best it’s a cheap shot at the Bookies – racing’s pariahs. At worst this great sport- and everything associated with, isn’t his passion, and ATR need a more informed guest, or at least someone more entertaining. What’s this issue with ‘safe’ guests? We’re not all morons. I’m quite certain there was no ‘fix’ here. Nobody ‘laid’ the horse in the knowledge he was about to be pulled up, and I’m certain Nicky was shocked. I don’t doubt some folk spoke through their pockets. I evidenced several lumpy bets transacted at Kempton – in the multi thousands with my colleagues. I knew my office would be delighted to see him beat – mainly because of multiple bets. Personally I tissued the horse at 1/9 – being fully two stone superior to SDG, the remainder of no consequence in that grade. I could see that in order to oppose the great horse, I would have had to in fact lay 1/4, the same odds as in the Queen Mother Champion Chase, over the fierce Cheltenham hills. Far better to avail myself of the 6/1 on offer of the Tingle Creek hero. Which I did. I’m not talking out of my pocket. I have questions. The whole affair looked odd in that he wasn’t walked to the stables, and it surprised me nobody asked Messrs Geraghty or Henderson. You see unless Barry has a set of electrodes in his backside he couldn’t have been aware of any heart issue. In his account everything was going swimmingly right up to the pond, even having to take a few pulls – and out-jumping the whole field at the open ditch (5th). We all know the subsequent diagnosis but I think we have to look at things a little more chronologically. According to the pilot, he squeezed his legs and the horse popped the fence, instead of the leap Geraghty hoped for. Well, ok fine, I don’t ride racehorses but that’s a monotonous occurrence over the sticks from non machine types. Second the reins went slack. I don’t see that as particularly significant. Even our greatest horses – the Kuatos, the Denmans, Arkles and so forth all have their moments where they underperform, miss a fence, or drop the bit. The standard is to ask the question, shake the reins, ask him to take the bit again, perhaps even a tap. Not what happened. Why? Of course I’m not a jockey – but isn’t this quite the norm? And if he doesn’t respond, well of course we call it a day. Going back a step one evidenced the weakness in the market- a horse that should most certainly been twice as far odds on as he was, but this is entirely unrelated to the star being pulled up. Pessimistic noises from NJH could well have accounted for that. Nicky isn’t famous for over confidence. No harm in that. What I did evidence was a horse without sign of distress, this to me seemed odd, and one can hardly blame folk who backed him for being upset. He was examined on the horse-walk as I understand, taken home, eaten up. Could he have won this race and supporters would have been rewarded in their faith? I mean he was travelling upsides the not inconsiderable frame of Sire De Grugy. A stroke of genius by Geraghty, or one eye on March? In conclusion I think I would like to have seen a lot more effort in the saddle in respect of Bettors. In the meantime, many ordinary punters lost considerable sums of money. That’s racing? These were the trolls being referred to in the report, those who had unquestionably done their money on the sure thing of the month. For the confidence of the betting product, which let us not forget funds the sport, should they not merit the fullest consideration? I wonder why nobody questioned of connections as to why he was pulled up so precipitously? I don’t know what to think with the benefit of hindsight, but the incident troubled me. A moment to congratulate the bold connections of Sire De Grugy! I want also to say that I have met Nicky from time to time and I find him a most pleasant and personable trainer. It’s the focus on one Festival I have issues with. Returning to the lunatics, and their keyboards. Alan’s point, these folk shouldn’t be let loose on Racing, with their empty wallets. Better such topics handled by cool and reserved hacks. Like himself you see? However are people feeling their views are taken fully into account by the journalists who represent them? Personally, whilst I never belly ache about my losses- other than in jest, I don’t feel you can blame folk for being pretty upset sometime by gambling, it’s just the way. Of course to the Times correspondent, it’s just not cricket – we are talking about a champion horse and trainer here. Well that’s all very well and good if they feel those same hacks out there with their pen and notebook representing not just the great and the good of Racing, the BHA and their stewards, – asking questions for the good of all the stakeholders, and not perceived as closing ranks. Too often the important customers of racing, along with owners, who underpin the Sport are casually ignored. The Punters, yes, the fodder who put in a hundred million in year in Levy and 50% of all sponsorship via the Bookmakers. They’re not in the Club. Betting is somehow ‘dirty.’ We know it goes on, but that doesn’t suggest you deserve a say at Racing’s top table. It’s a bit rich, for a journalist, with so little to say, on fixture levels, on doping scandals, on the culture of punishing trainers who doctor reports to the BHA with paltry 3 month bans, on FOBT’s or the proliferation of unpunished non-triers in Racing – to criticise those who don’t earn a salary for their views. The important and weighty subjects tacitly ignored in favour of presenting Racing for elitists, even if in this case people were wrong to describe matters as a fix. Cosy jobs protected by selective avoidance of delicate subjects that might exclude you from interviews, upset sponsors or champion trainers. Twitter brought down the News Of The World. It’s a forum for friendly debate. It’s sponsored by nobody. I rarely find people being rude to each other. It brings news and entertainments. Most importantly it asks and questions those in charge of industry and sport to account to the masses who support them. The views of Alan Lee, for £1 a day, won’t count a penny in the place of one well worded tweet, spun around the globe. Journalists today find their views questioned by a greater readership than they can ever hope for. Their power of speech eroded by a new and powerful medium which dares to question authority and governance and bring it fully to account. And is it not reasonable for punters to demand at least some sort of official investigation into the day´s events? According to Mr Lee and our racing authorities, the answer is obviously no (with an extra “pipe down” thrown in), which certainly sets a worrying precedent for the integrity of our game and for punters everywhere. I for one hope Sprinter Sacre has to come off the bridle at some stage come Cheltenham, just to see how serious Mr Geraghty gets then.Of course, he may just pull him up straight away, which, as we now know, is absolutely fine under what the BHA are probably now calling the new “non-triers rule exclusion clause for very, very good horses”. Next Next post: Barney Curley or Big Bucks?